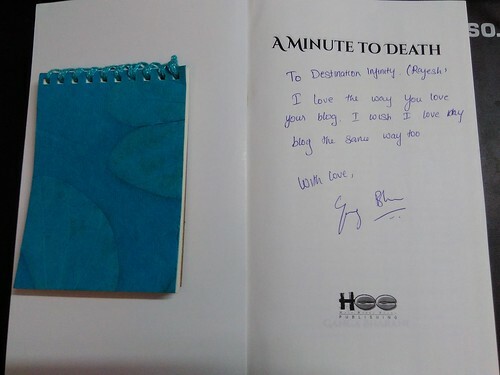 Here is what the author wrote for me while autographing the book 🙂 It was great meeting blogger and would-be-author friends Sulaiman, Mahesh, Bragadeesh Prasanna, Salesh, Kavipriya. It was also good to meet Ganga’s husband Rajan, who had to fight for his right to speak 😛 We all spoke about ourselves, our books, what we’ll do if we have only one minute to die (mine was sleep), etc. 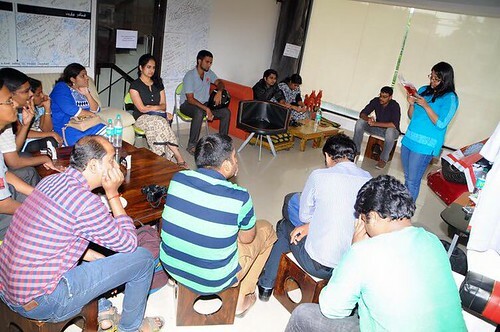 Pavitra sang a bit of ‘Munbe va…’ song — she has excellent voice! 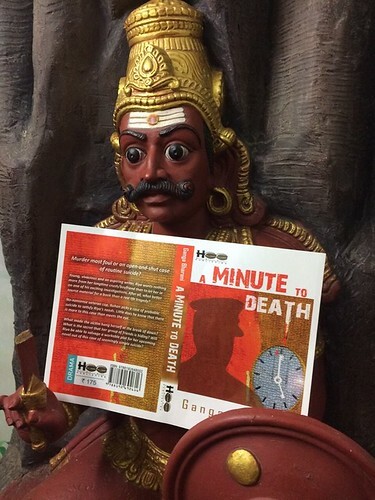 Ganga’s father is a Tamil orator it seems, and he too spoke for a short time. 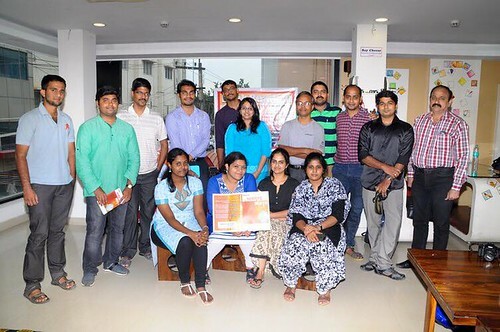 Here is a unique selfie of Ayyanar with GB’s book 😛 It was a great weekend enjoyably spent in the company of ‘literary-minded’ people 🙂 Hope to attend more events like this in the future. 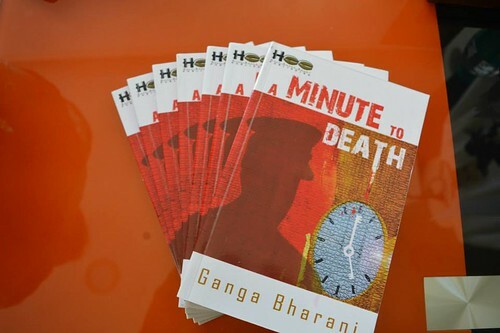 If you like, you can buy ‘A Minute to Death’ by Ganga Bharani from Amazon.in.